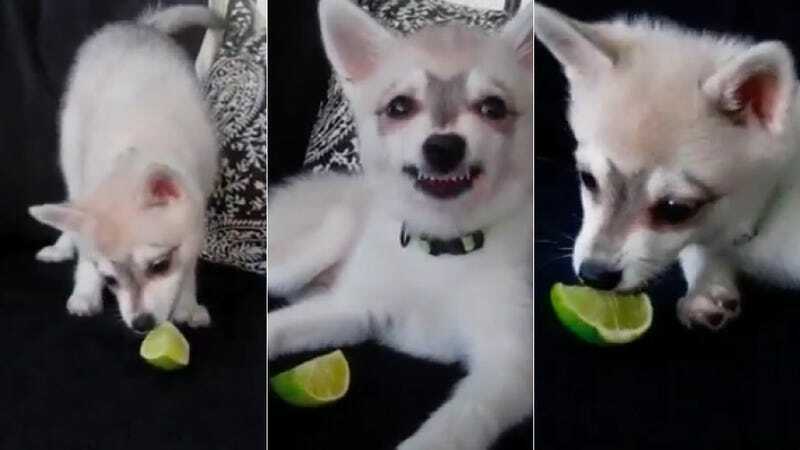 This little twelve-week-old Alaskan Klee Kai named Kiwi (try saying that ten times fast) enjoys chewing on a lime until he gets that sour taste in his mouth. From there, they become enemies. You can watch Kiwi's real-time reaction video here.